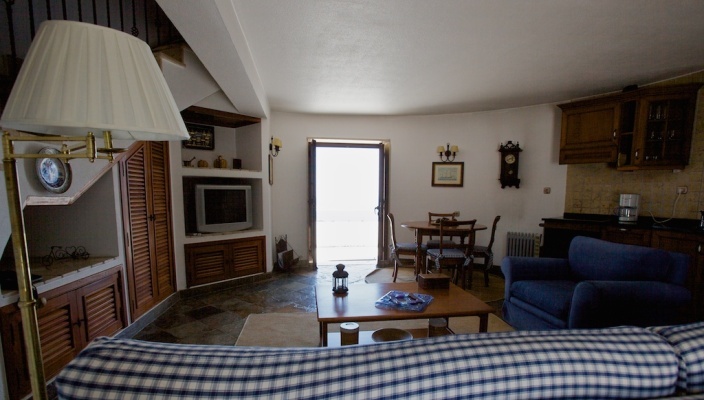 Perfectly restored traditional portuguese windmill located in 7.41 acres area with a beautiful main house, an other windmill, a panoramic swimming pool with stunning views over the river and the ocean, a playground for the kids, and picnic zones, with tables and benches to sit comfortably in the shade of trees. There are also swirling paths amid gardens with wooden benches here and there, always in the right place, so you can enjoy the view. Beautiful place for guest who wish to spend holidays in a unique and non traditional house with all the comfort of a traditional one. This is definitely an amazing experience. 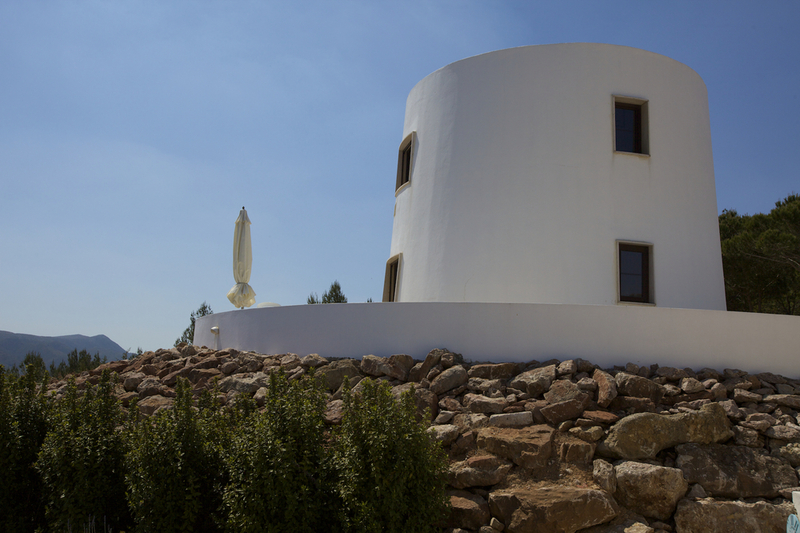 The restored windmill features one suite, a living room with a kitchenette, and a mezzanine. 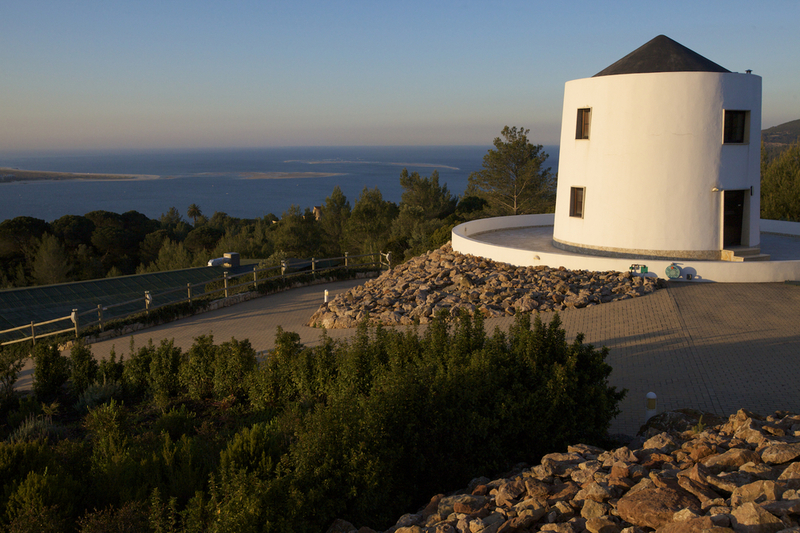 Paradise, located in the Serra da Arrábida and surrounded by an extremely beautiful natural environment. Moulin traditionnel portugais parfaitement restauré situé dans un terrain de 3 hectares avec une belle maison principale, un autre moulin à vent, une piscine panoramique avec vue imprenable sur le fleuve et l'océan, une zone de jeux pour les enfants, et plusieurs zones de pique-nique, avec des tables et des bancs pour s'asseoir confortablement à l'ombre des arbres. Il ya aussi des chemins tourbillonnant au milieu des jardins avec des bancs en bois ici et là, toujours au bon endroit, afin que vous puissiez profiter de la vue. Bel endroit pour les clients qui souhaitent passer des vacances dans une maison unique et non traditionnelle avec tout le confort d'une traditionnel. Certainement une expérience incroyable. Le moulin à vent restauré dispose d'une suite, un salon avec une kitchenette et une mezzanine. Paradis, situé dans la Serra da Arrabida et entouré par un très bel environnement naturel. Located in Setúbal, 27.5 miles away from Lisbon. It is served by two highways, A2 and A12, which lead to 25 de Abril bridge and Vasco da Gama bridge, respectively. Located on the slope of Serra da Arrábida, the view from this property is dazzling, with the mouth of River Sado, its meeting with the Atlantic Ocean and all the life which thrives in both as its natural background. During the day, this scenery is speckled here and there by all sorts of boats, from large ships being towed in and out of the harbour to little sail or fishing boats. Occasionally, one might catch a glimpse of dolphins. By night, a blanket of little twinkling city lights, spreading from the castle over Setúbal and across the river to Tróia peninsula, makes us feel like we're living in a Sherazade's "One thousand and one nights" tale. Since you're in Setúbal, why not take this chance to get to know the city a little better? Amongst museums, monuments and historical sites, you have a variety of choices, from the Jesus Convent, the Arrábida convent or the 16th Century Art Gallery to the roman ruins in Tróia (Cetóbriga ruins), Setúbal Castle (St. Filipe Fort) or Palmela Castle. However, if you prefer a little more action, don't miss Sant'Iago Fair, which takes place every year, between July and August. For a fortnight, it brings us handycraft, wines, honey and other regional articles, the usual fairground attractions, car, motorcycle and boats exhibitions, as well as some official pavillions (Setúbal City Hall, the Costa Azul Touristic Bureau, etc. ), where you can find all info regarding Setúbal and Costa Azul. Also in August, don't miss the "Festa de Nossa Senhora de Tróia" (Our Lady of Tróia Celebration), famous for its boat procession across the river. The image of Our Lady is carried by boat to Tróia, escorted by dozens of richly decorated boats, transforming Sado into a river of colors. On the other hand, if you're a cinema addict, come here around the time of Festróia (Tróia International Cinema Festival). For those who prefer a more direct contact with nature, there are river cruises and ATV circuits to be explored in Sado Estuary Natural Reserve, where dolphins may be seen in their natural environment. The mild climate with the mediterranean character of this region, together with the unusual landscape, where the mountain green meets the ocean blue, make its beaches very attractive. Portinho da Arrábida, Galapos, Figueirinha and Tróia are fine examples of it. And if you still feel like doing other things, know that there is sport fishing, scuba-diving, canoeing, horse-riding, golf, tennis, parapente, etc.